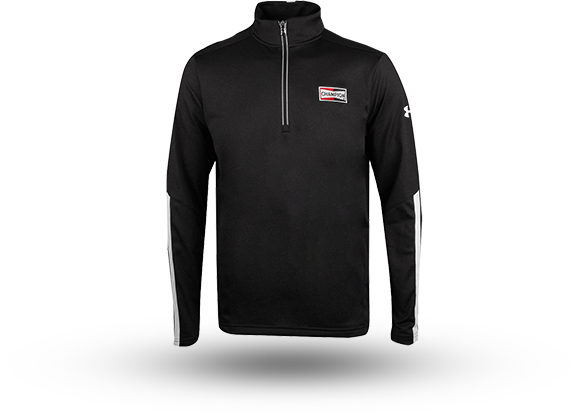 Built for performance, you'll love the fit of the Champion Under Armour 1/4 zip pullover. Made of soft and durable knit, the brushed interior will keep you warm while the Under Armour signature Moisture Transport system wicks away sweat to keep you dry and light. The UA logo is embroidered on left sleeve while the Champion logo is embroidered on left chest. 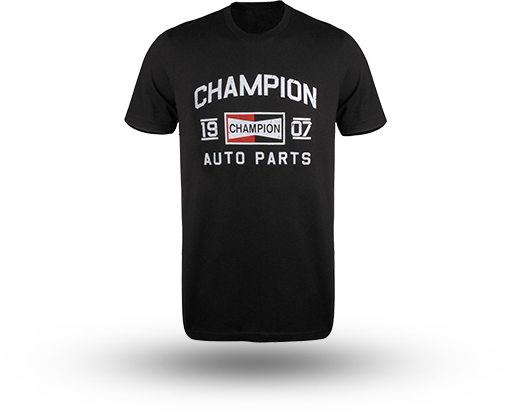 Made for comfort, show your pride with this Champion tee shirt. 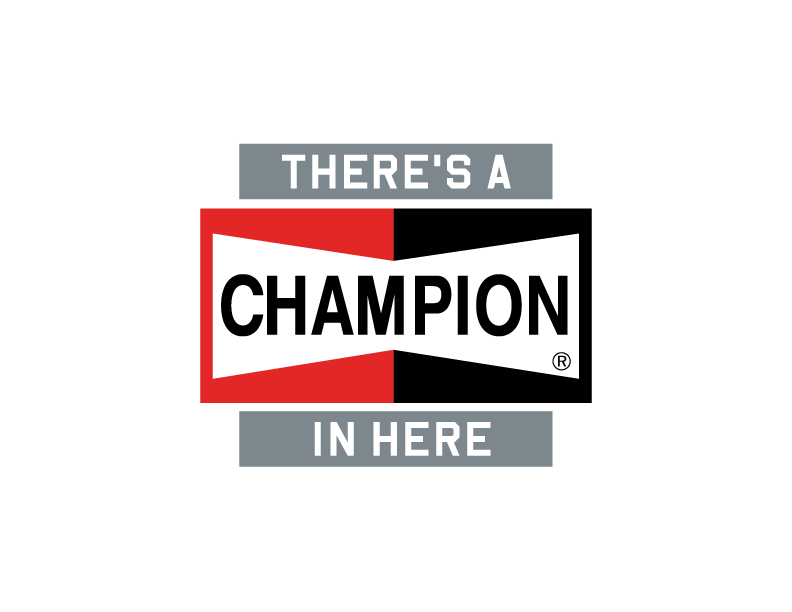 Featuring the There's A Champion In Here logo, it has lasting details like side seams and shoulder-to-shoulder taping to maintain fit and shape. Finally, a work shirt that works as hard as you! 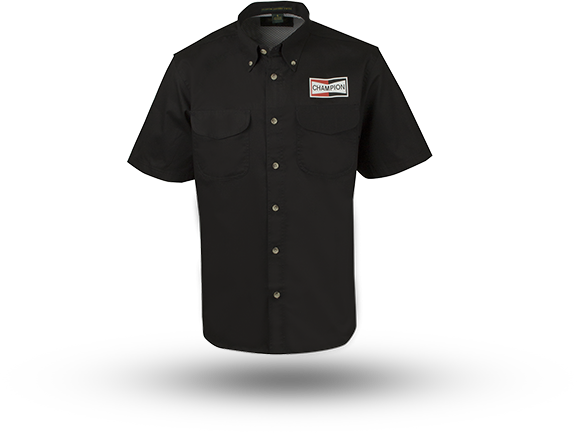 Made of brushed cotton twill with a vented mesh back, the Champion short sleeve work shirt will keep you comfortable and cool all day long. Features the Champion logo screened on front chest and custom designed There's a Champion in Here graphic art on the back cape. From working in the garage to just hanging out, this stylish lightweight hoodie is the perfect sidekick. You'll appreciate details like a custom designed plaid lined hood, hand warmer pouch pocket and cover-stitched main seams. 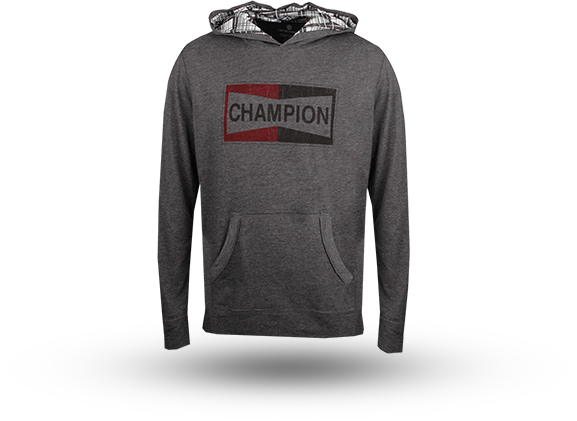 Proudly features the Champion logo printed on front chest. Style and comfort come together in this Champion tee shirt. Featuring flame throwing engine graphic artwork, it has lasting details like side seams and shoulder-to-shoulder taping to maintain fit and shape.